Thailand is a country famous for its rich culture, religion, people, food and their Costume…!!! 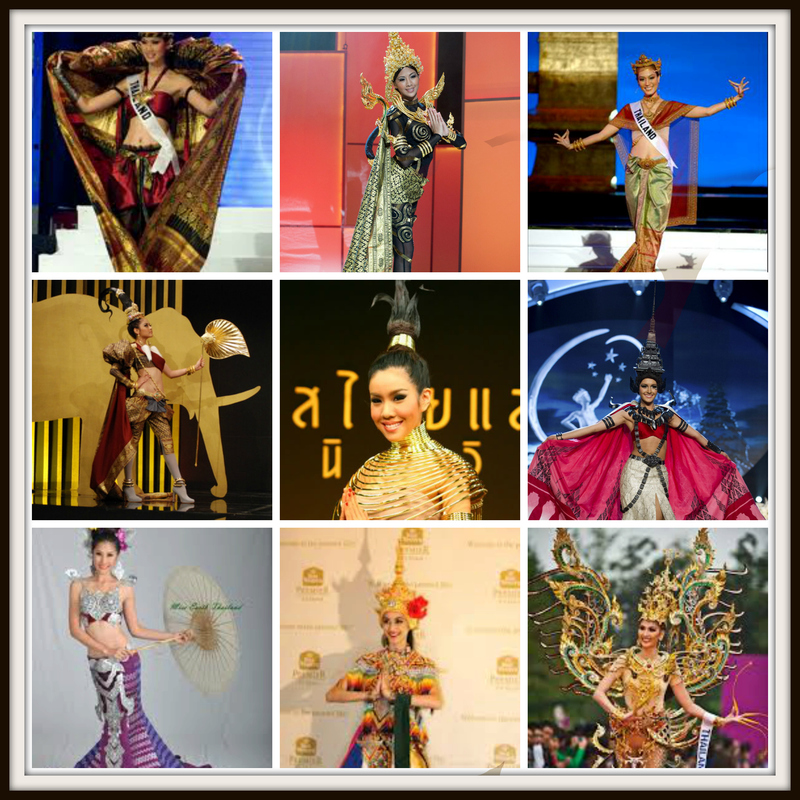 Thailand may not have always been a performer when it comes to beauty pageant, but the same holds contradictory when it comes to national costume round. They always manage to come up with something new, something modern yet extremely creative. They have experimented many things in past, like you can see in collage, imitating elephant and its owner, various warriors, Thai goddess, Thai animals and what not?? They have always been excelling into the field of National costume. Even though they might not win every time, but we can’t deny the fact that their costumes are always the center of attractions and the sweet charms of Thai girls just adds up to the overall look…!!! !